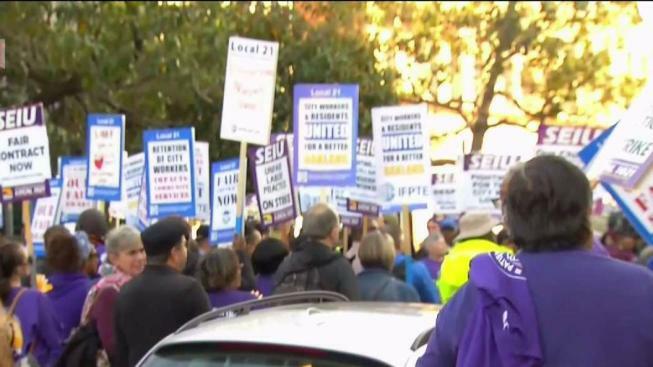 Hundreds of Oakland city workers walked off the job Thursday, staging a strike as Mayor Libby Schaaf prepared to deliver her State of the City address. Libraries, senior centers and recreation facilities closed early as disgruntled workers walked picket lines. Union leaders say workers have been without a contact for nearly five months. They say staffing levels haven’t changed since 2008, making response times to issues such as Oakland’s growing homelessness problem difficult and dangerous. The mayor said the city values its workers and added that a resolution is close. In the meantime libraries, senior centers and other city facilities were shut down for the day. 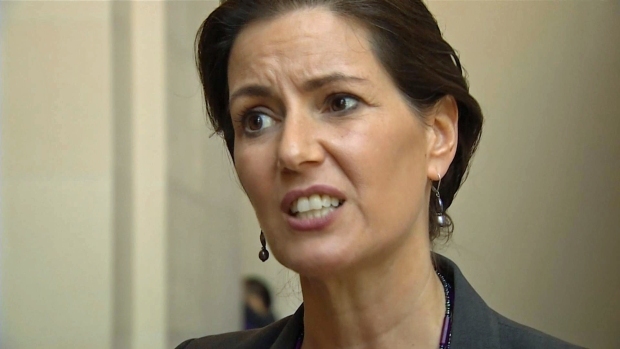 Oakland Mayor Libby Schaaf is slated to deliver her State of the City address Friday at the Islamic Cultural Center of Northern California. A union of city workers plans to protest at the same time, saying they have no input in changing working conditions. "They’re not offering us enough to cover the cost of living," said Sarina Baldwin, Oakland's revenue collector. Folks who work at the Oakland city library say they’ve been overworked and underpaid for years. "The library is a great place. We are a public institution, always been open to any and every person who walks through our doors," library aide Lina Hernandez said. "We work the jobs of two, three people sometimes." Felipe Cuevas, SEIU chapter president, agreed, saying there are fewer workers doing as much work as they can but having trouble keeping up with it. Schaaf responded to the protest ahead of her speech. "The City shares many of the same concerns the workers do," she said in a statement. "We all want a clean beautiful safe city. We all believe in the dignity of work." Striking workers outside the building where the mayor was set to deliver her address said they were there to let the city of Oakland know what’s really going on and what the actual state of the city is.